We don´t live in a perfect world. Unfortunately, like everything else, paint, too, doesn´t last for eternity. Scientific evidence proves that paint gets damaged by the weather. Hence it is necessary every now and then for you to re-paint your home in Spring, Texas and the surrounding areas, or anywhere else for that matter! In addition to boosting the home´s interior and curb appeal, a fresh coat of paint on walls and trim can also keep homeowners healthy. Basically, a fresh coat of paint offers numerous benefits that go beyond aesthetics. We have more reasons why your home would benefit from a fresh paint job. Have a look! Of course, a new layer of fresh paint improves the appearance of your home, making it aesthetically pleasing. Fortunately, there isn´t a dearth of paint patterns and designs available for purchase in the market. And, in order to obtain favorable results, you can easily balance the shapes with the symmetry and let your creative juices flow. Any type of paint job will undoubtedly upgrade your home in an instant. If you are looking for a quick way to increase the overall value of your abode, you should consider painting your home. However, you should be careful when choosing the paint colors. When doing so, you should ensure that the paint blends in well with your backyard and the other elements and materials in your home including the stones, roof, and bricks etc. Let´s be honest here—faded paint wall can be downright depressing and gloomy. You wouldn´t want to come home to such an environment now, would you? If you want to enhance your mood, you should consider improving the ambiance of your home. And, you can easily make your home a refreshing, rejuvenating place by painting it with fresh, vibrant colors. Colors such as orange, yellow, and green promote well-being and evoke a sense of warmth and affection. A quality paint job can easily prove to be a cheap investment that provides great benefits. However, not every painting company you come across will be willing to provide you with the best rates. 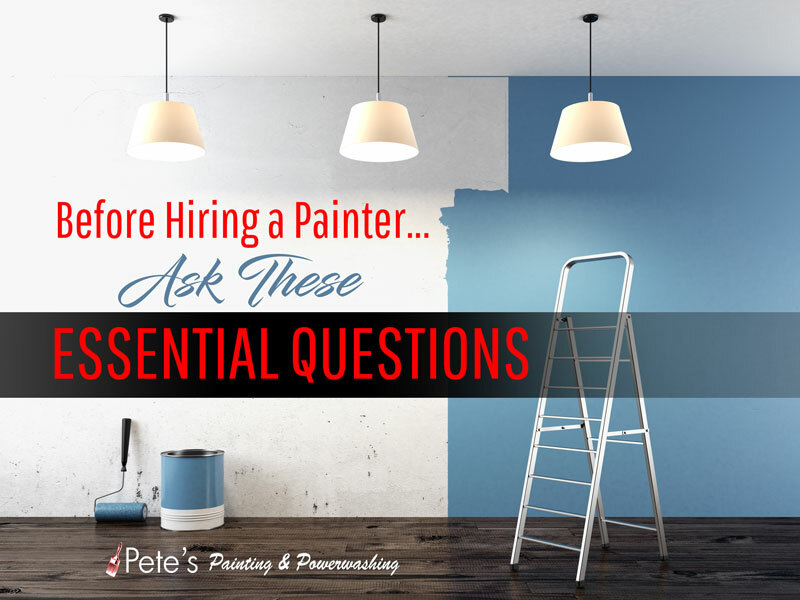 Hence, it is of paramount importance for you to do a little research before hiring a particular painting company. When looking for a company, you must ensure that the company provides the labor, tools, and materials required at an affordable price. Of course, it is impossible for you to keep the exterior of your home in pristine condition. However, a fresh paint job will undoubtedly go a long way towards improving the cleanliness of your home. A fresh paint job will ensure that you will no longer have to witness the hideous marks and stains on your walls. A fresh coat of paint will ensure that the walls of your home are well-protected from harsh weather conditions. In addition to that, the paint job also helps safeguard the surface of window seals; therefore, you won´t have to spend a pretty penny fixing and replacing your windows on a regular basis. When painting the exterior of your home, you must not only focus on the walls, you should ensure that the door frames enjoy the benefits of a fresh paint too. Not all paint are created equal. Therefore, when choosing paint, it is imperative for you to only choose paint of the highest-quality. Failure to do so can give you frequent problems in the future. Are you seeking positive energy? If so, you should look no further than your home. Can you imagine the overwhelming happiness you will experience when you come home to a freshly-painted abode after a long day at work? You will experience a wave of positive and comforting energy. Your home shelters you from harsh, external factors such as insects, the inclement weather, particularly ice and snow, and climate changes. Thus, the paint on your home´s exterior, no matter the quality, will eventually deteriorate and fail to stand the test of time. Hence, if you want to ensure that your walls continue sheltering you from harsh, external factors, you need to apply a fresh coat of paint on the walls frequently. Of course, it is tempting to paint the walls yourself without the aid of professional help, but do you know how to protect your home from moisture and dust too? If you don´t, perhaps it is in your best interest to hire the services of a professional house painting company. Paint serves as a protective, outer coating for the siding of your home. It does an exceptional job of preventing moisture from seeping into your home, preventing you from spending a lot on repairs caused by mold and mildew damage. Your home should be treated as an extended member of your family. Therefore, you should spare no expense in ensuring that it is maintained on a frequent basis, well-protected from harsh weather conditions. Why should you treat your home like a family member? Your home shelters and protects your family, doesn´t it? If that isn´t the epitome of what a family member is supposed to do, we don´t know what is. Are you aware of the fact that a facade paint job is actually regarded as a remodeling activity? Therefore, if you are looking for ways to improve the value, appeal, and function of your house on the cheap, you should consider painting your home. Painting can provide a quick update at pennies on the dollar. The paint job will give you instant results and have your home looking a million bucks in no time. Basically, painting is a remodeling strategy that´s both cost-effective and produces immediate results. So if you’re looking for the best painter around, look no further! Contact Pete in Spring, Texas, today!